Neal Katyal makes an eloquent case for Neil Gorsuch in the New York Times this week as a highly qualified candidate. I believe he has strong experience. Democrats shouldn’t vote for him though. Not yet. Instead, they should demand a vote on Merrick Garland first, because of his similar qualifications. 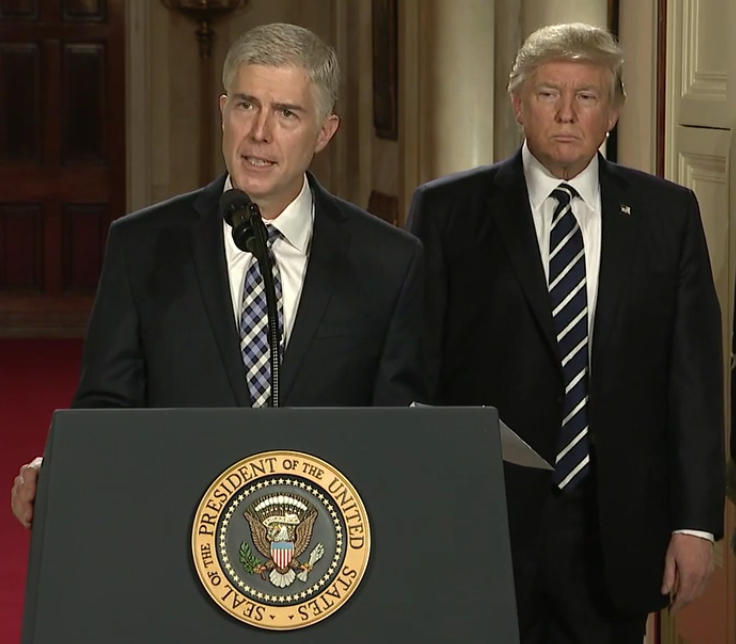 Because this fight is bigger than Gorsuch. This fight is about democracy and our Constitution. 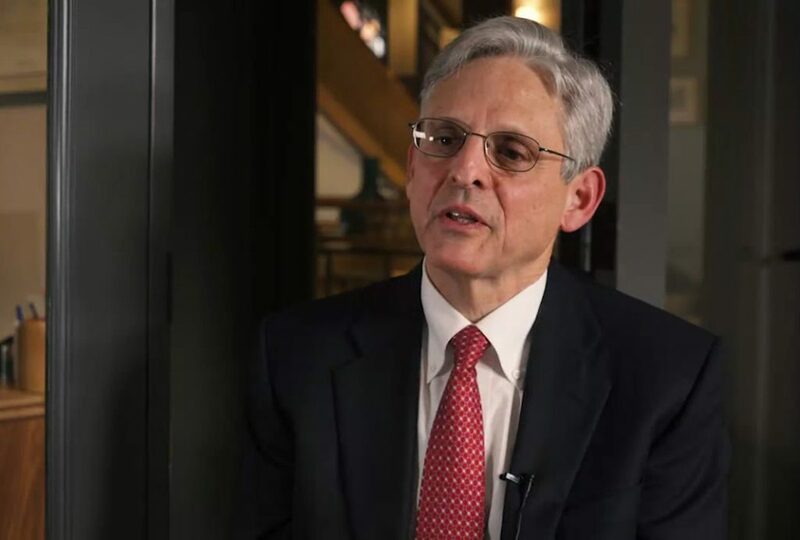 It’s about fairness under the law, and Garland deserves a Senate hearing and a vote. We stand for democracy and our ConstitutionEvan McMullin recently wrote that now is the time to expand the number of Americans who care about democracy and our Constitution. For what it's worth, I see a tremendous opportunity now to expand the number of Americans who care about constitutionalism and liberty. Mitch McConnell refusing to even start the confirmation process with Garland is one of the most flagrant violations of democracy and our Constitution. Are we a country where the label “Republican” is all that matters? If qualifications matter, we should consider that there already is a qualified candidate in Merrick Garland. Otherwise, “Republican” is more important than qualifications. This preemptive abdication of duty is contrary to the process the framers envisioned in Article II, and threatens to diminish the integrity of our democratic institutions and the functioning of our constitutional government. 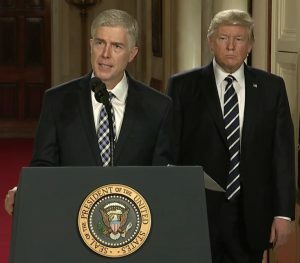 Despite Gorsuch’s qualifications, we should pick a fight for democracy and our Constitution. Both candidates should have equal opportunities for consideration—or neither. In any negotiation, the first question you have to ask is, what’s your best alternative to a negotiated agreement (BATNA)? This is what happens if the negotiation falls through. The worst thing that can happen is already being threatened. President Trump has urged invoking the “nuclear option” in the Senate, lowering the number of required votes to 51 for confirmation. He’s put his cards on the table. If we call bluff, the Senate could invoke the nuclear option. It would make it easy for them to then confirm Gorsuch. In the process, however, Republicans prove our point that they’re eliminating democracy. Let’s assume option 2 then: Republicans don’t invoke the nuclear option. In this scenario, we may be able to hold up the nomination or we may not. Either way, however, Democrats are fighting for democracy. There is no “lose” option here. Some have argued that swing state Dems might face problems in states that went heavily for Trump—Dems like Joe Manchin in West Virginia. In this case, it’s a great opportunity to say what we stand for. If Trump is truly a populist, he should stand with us for checks and balances and the Constitution. If he’s truly a populist, the Constitution shouldn’t be applied differently depending on which party you’re in. A really qualified candidate has already been nominated to the Supreme Court. Under our Constitution, Merrick Garland deserves consideration. If Republicans are only going to follow the Constitution for Republicans, we have no Constitution.